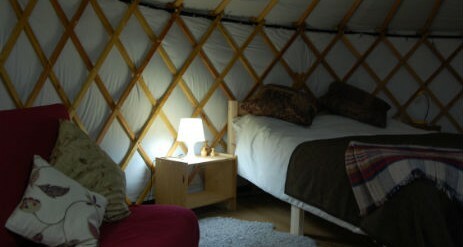 At Runach Arainn we offer luxury glamping in Yurts on The Isle of Arran in Scotland. 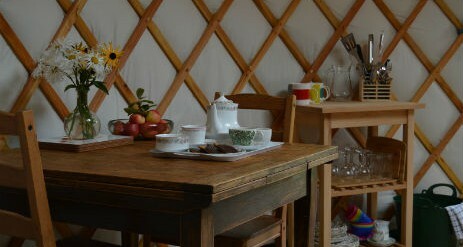 We are a small, intimate glamping site on the south end of the island in a small orchard near the village of Kilmory. 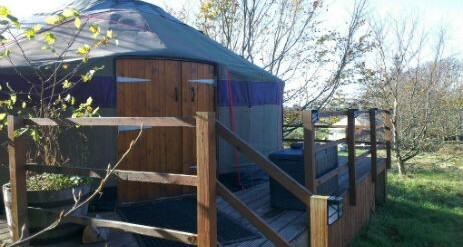 Our three Scottish made, larch wood frame yurts and all have their own private bathrooms. We are an ideal holiday destination for families and couples looking for a short break or a longer vacation. 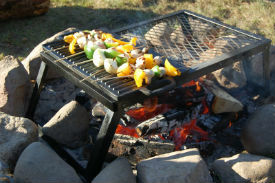 With our proper double beds, wood burning stoves, firepits and sofas we are definitely at the glamorous end of camping! 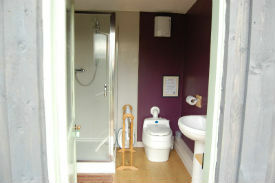 They provide a fabulous place to stay with an atmosphere that is unique and tranquil. 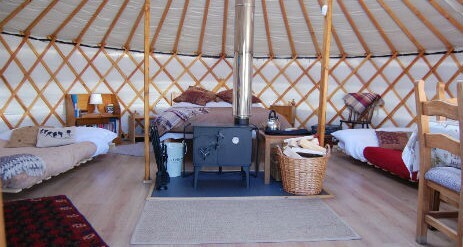 Paul at Highland Yurts has done a wonderful job in hand-building our three larch wood frame Yurts. We’re sure you’ll love them as much as we do. 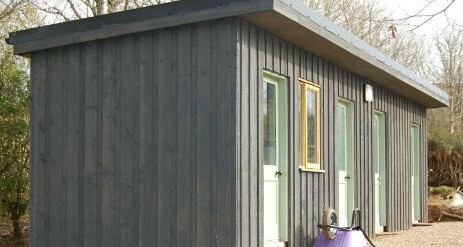 Our site is on the south end of the Isle of Arran 35 minutes drive from the ferry port at Brodick. 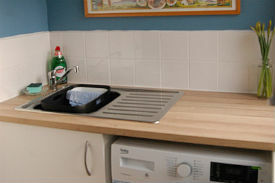 We are fifteen minutes walk from Torrylinn beach and ten minutes walk from the nearest restaurant at The Lagg Hotel. You can also gain access directly onto forest tracks from the site, great for strolling or cycling. There is also a regular bus service that goes round the island and stops in Kilmory only 5 minutes walk from us. The Isle of Arran is about 20 miles long and 10 miles wide and sits in the Firth of Cylde. The 10 mile ferry crossing from Ardrossan takes 50 minutes, so we are less than 2 hours from Glasgow. 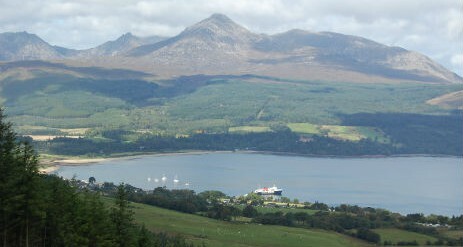 For such a small island Arran contains a wide variety of sceneries and landscapes. To the North is the mountainous Goat Fell range. They may look benign from Brodick, but they are anything but. If you don’t fancy the high level walks there are beautiful valley walks like Glen Rosa or more wooded walks in the South of the island like the Glenashdale Falls. There are wonderful beaches all around the island – Blackwaterfoot in the West, Torrylinn in the South and Lochranza in the North. Cycling is popular all around the island. Mountain bikers can make use of the forest tracks that criss-cross the island whilst road cyclists can enjoy the 60 mile circular route around the island’s coast road. Golf is another popular sport on the island. There are seven golf courses all around the island. Sailing and kayaking are also popular with locals and visitors. Arran Adventure Company can arrange all sorts of events from gorge walking, kayaking and archery.